POWER ZOOM. Ben Hinz, a local musician and pedal-maker, unleashed a new collection of ambient ‘free electronics’ music under the moniker Minnesota Nice. For the last 15 years, Ben Hinz has been making heavy experimental rock music with The Ronald Raygun and heading up his effect-pedal-making company Dwarfcraft Devices. If you’ve got a song in your heart, a couple synthesizers, and limitless access to pedals you’ve created yourself – you might get a natural urge to experiment on your own. Hinz did that – or something close to it – in the early aughts under the name Aen, but his most recent effort is a time-traveling, genre-hopping electronic project called Minnesota Nice, a free space to let electronic sounds warp around, swirl into different shapes, and reveal themselves in unimaginable ways. 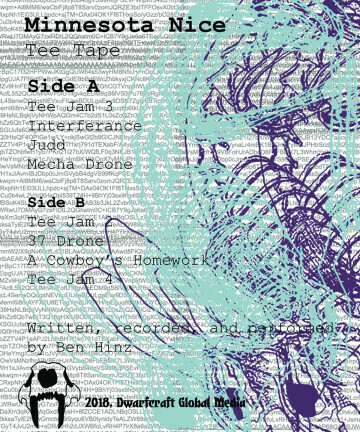 On his premier edition of Minnesota Nice – a cassette called Tee Tape – Hinz unleashes sounds with fury and density at times, and other times with hushed subtlety, stretched out ambience,and warbling drones, all with room to breathe. 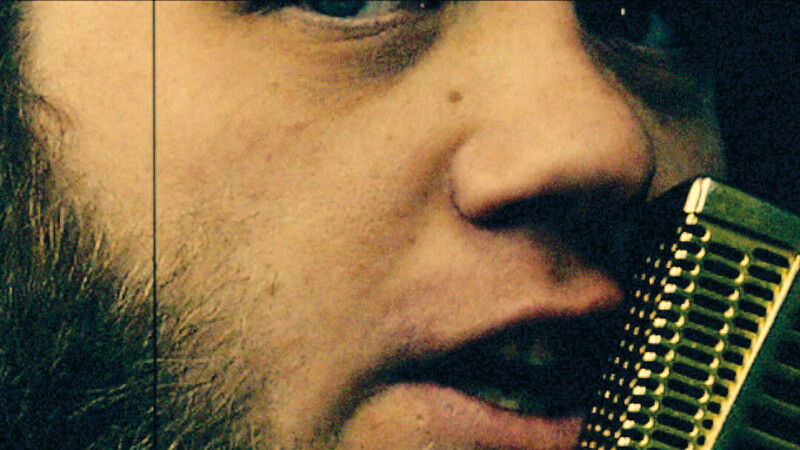 The tape’s opening track is nearly 40 minutes long, while the shortest on the collection is 20 seconds. On Tee Tape, songs vary from drawn out atmospherics on long-playing ambient tunes to heavy synth patterns and dense, upbeat drums. Hinz connects a synthesizer to a massive collection of effects pedals – most of which were created by Dwarfcraft – and two unsynced loopers that layer sound after sound until you have song that’s calming and chaotic all at once. He said his affinity for it is inspired by natural soundscapes. It’s an apt comparison. You might perceive a long ambient track as one continuous sound, but the closer you listen, the more you can separate each layer into distinct voices. Songs shift into different textures before you can notice. You’ll hear different elements on repeated listens. And it’s all very much intentional. Certainly music like this is few and far between, especially around these parts. It’s a niche thing and an acquired taste to be sure, but Hinz wants to push boundaries with Minnesota Nice. With this project, he’s giving himself room to dream up sounds you’ve never heard before mashed up with even crazier sounds you’ve never heard before. Experimentation is the name of the game, and it suits him quite well.